We all know ants are extremely smart creatures that are capable of solving complex problems but as it turns out, these tiny insects could have taught us a thing or two about how to build the Internet. 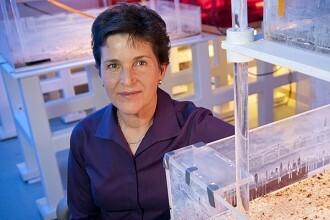 Research from Stanford professor of computer science Balaji Prabhakar and biology professor Deborah Gordon indicates that ants use a series of algorithms that are nearly identical to those found in the Transmission Control Protocol (TCP). Harvester ants send out foragers to determine how much food, or bandwidth, is available. If these ants are slow to return or come back empty-handed, the search for edibles is usually slowed or called off. If they return quickly, this means there is plenty of food available and more ants are dispatched. This is similar to how the Internet’s TCP feedback loop works. Packets are sent out from a source to a destination with an acknowledgement, or ack, sent back to the source once a packet has been received by the destination. If the ack returns quickly then data transmission is throttled upward accordingly. The team wrote an algorithm that would predict how the forager ants behaved based on the amount of food available. They discovered that the TCP-influenced algorithm almost always matched the ants behavior in the experiement. Harvester ants closely follow two other types of TCP algorithms as well. One is called the slow start where a large number of packets are dispatched to determine how much bandwidth is available. Ants also send out a large number of foragers to check on food availability before adjusting the number of foragers up or down accordingly. The other protocol that researchers discovered mirrors a time-out which happens when packets are sent out but an ack is never received back. Similarly, if forager ants go out in search of food and don’t return within 20 minutes, the search is called off and no other ants are permitted to leave the nest. Prabhakar believes that if this behavior had been discovered in the 1970s before TCP was created, it could have helped influence the design of the Internet as we know it today.